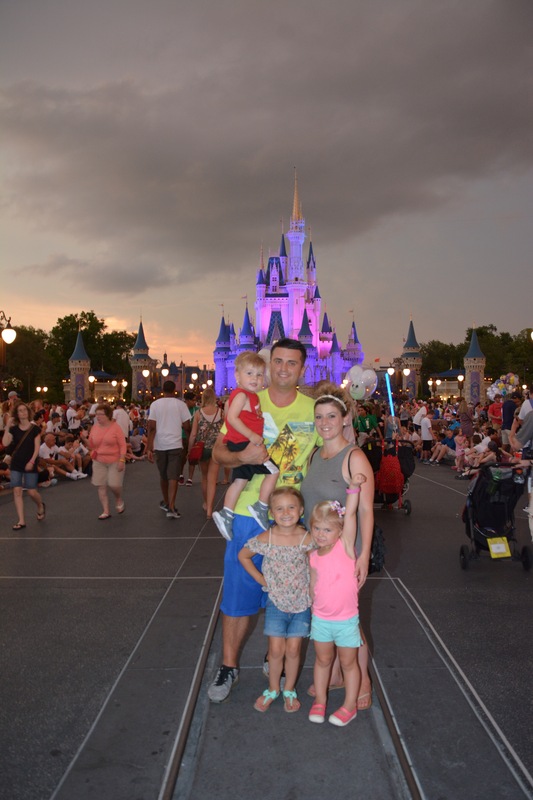 Disney World is the most magical place on Earth…. until it’s not. If you’ve ever traveled with children before, you know the tale. Busy days, interrupted schedules and less nap time equal the perfect storm for a kid meltdown. This is no exception at Disney World… unfortunately. You pay a lot of money for you and your family to have a magical experience, but the toddler meltdown is inevitable. However, these tips will hopefully make things a little better and potentially help avoid a few of the mental breakdowns. Tip 1: Plan for breaks. There is so much to do at Disney World and most of us can’t afford to stay there for three weeks. You feel like you’re on a time crunch to get it all in. However, planning some down time each day will make everyone happier. You’ll be able to enjoy the activities instead of just watching your kids fall apart because they are exhausted. What has worked for us in our trips is to wake up early and get to the parks when they open. Strategically plan your fast passes using them for rides that are always busy (M.K. – Seven Dwarf Mine Train, Peter Pan and Splash Mountain are always packed). If you start your day at the Adventureland side, you’ll get Pirates of the Caribbean, Splash Mountain and Big Thunder Mountain all in a row with little wait time. Then keep going through in that direction. You should be able to get through a lot of rides this way. End the first part of your day around lunch time. Go back to your room (we prefer the Fort Wilderness cabins for the reasons found in my other post) and eat lunch there. Let the kids relax. Little ones take naps and older kids go to the pool with one of the adults. Enjoy each other without the crowds and the hustle and bustle. You’ll find you enjoy this time just as much as the parks. Everyone will feel more rested and be ready for their evening activities (if you choose to have them). Tip 2: Bring time wasting activities. You can plan perfectly and still run into times when you’ll have to wait in line or have to wait on the parade/show to get started. A good thing to remember for these moments are some “time wasting toys”. I like to pack bubbles, glow sticks, candy fans (think dollar aisle at Target little toys). These things will make waiting in line more bearable for your young ones and let’s be honest… when they are happy, everyone is happy. It is an added bonus if you can keep these little trinkets hidden until you break them out and then you get the “surprise factor” along with the toy. Mom win! Tip 3: Bring your own snacks/drinks. Since Disney doesn’t care if you bring in your own snacks and drinks, use that to your advantage. Nothing is worse than a child who suddenly remembers they are dying of thirst after you’ve already been standing in line for 10 minutes. You’ll save yourself, and all the people around you, a headache if you have their favorite beverage packed and ready to go. Having a little baggy of goldfish (or any other non meltable snack) is also a great idea for kids. You never know when they will decide that they can’t walk another second without a snack. 🤦🏼‍♀️🤷🏼‍♀️ Also, unnecessary to remind you I’m sure, Disney World snacks and drinks are rather pricey…. so you’ll be saving on the cash as well as the meltdowns. Tip 4: Bring your stroller/wagon… Yes, even for the older kids. We accidentally made the mistake once of leaving our stroller in our car before boarding the plane. We were all like “it will be okay, we will just rent a stroller at the park”. Silly, stupid parents…. Obviously we forgot how much you walk just to get to the park, or restaurants, or even just to get to the stroller rental building. No, you need a stroller. You need it to be with you the moment you arrive. Maybe you think that because your kid is 6 or 7, they are too old for stroller/wagons…. you’re wrong. There is a lot of walking… and unless you’re Mr. Incredible, you can’t carry those exhausted little ones everywhere you go. To summarize: Do not forget your stroller. Tip 5: Plan for meltdowns. Next Next post: “Food for thought”: Should I purchase a Dining Plan?